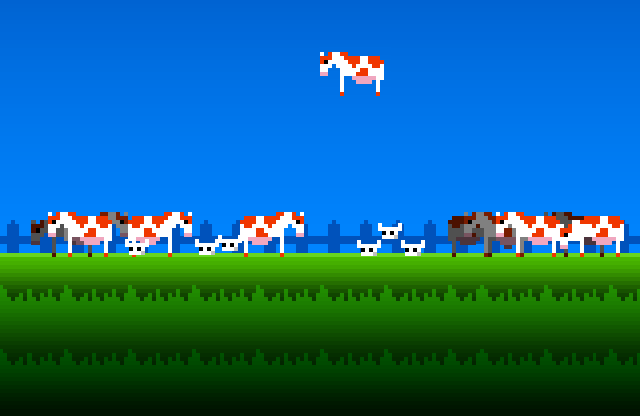 The rumors are true: UFOs love to scoop up cattle and subject them to strange experiments. Dear alien visitors: why not take some fresh beef home as a souvenir? Cassette Games: Volume 2 is here!